Former CBC foreign correspondent Joe Schlesinger has been inducted into the CBC News Hall of Fame. For close to 30 years, Schlesinger brought the world to Canadians, reporting on stories that shaped history, including conflicts, political unrest and natural disasters. 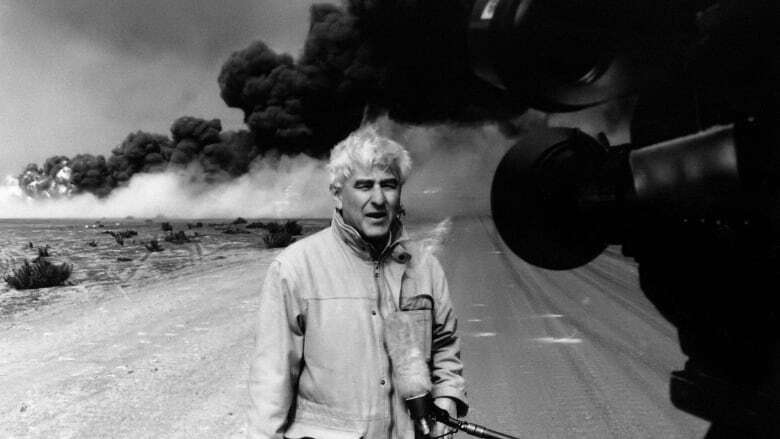 Former CBC foreign correspondent Joe Schlesinger has been inducted into the CBC News Hall of Fame. For close to 30 years, Schlesinger brought the world to Canadians, reporting on stories that shaped history, including conflicts, political unrest and natural disasters. Schlesinger worked in Hong Kong, Paris, Washington and Berlin. His many assignments included covering the war in Vietnam, conflicts in El Salvador and Nicaragua, and the fall of the Berlin Wall. In 1989, he returned to his native Czechoslovakia to report on the Velvet Revolution. "Ostensibly, this award ceremony is about what my work contributed to the quality of CBC reporting. In reality, it is exactly the opposite," said Schlesinger in a statement. "It is the freedom of working for the CBC that allowed me to explore subjects that otherwise might have been too risky or even taboo." He said if he seemed fearless at times it was because he felt he had the support of the CBC. "That feeling carried me from one tight spot to another with confidence. And for that I shall forever be grateful." 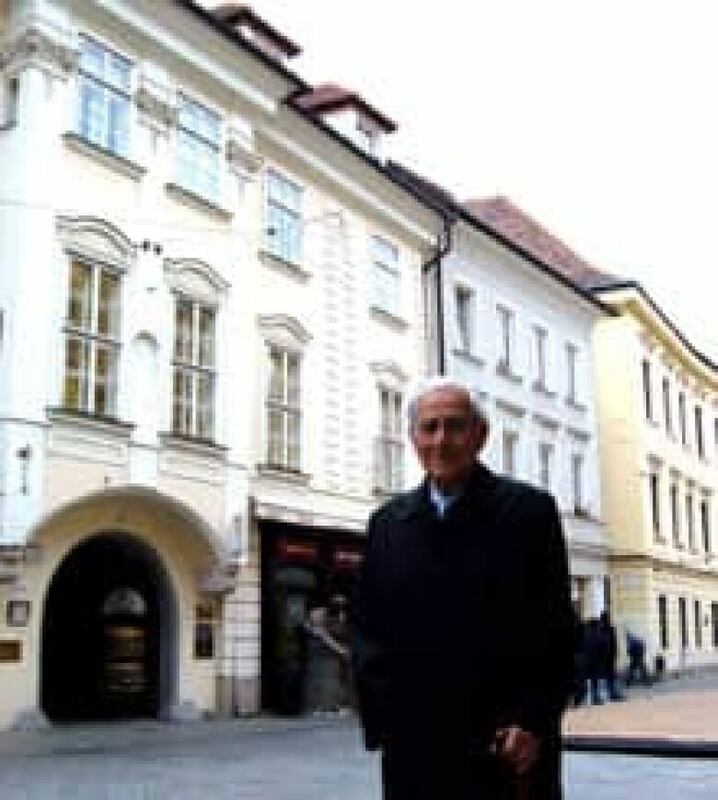 Joe Schlesinger visited his boyhood home in Bratislava in 2011. The archway to the left of the photo, once his father's cleaning supplies shop, is now a nightclub. The upper floors where the Schlesinger family lived have been converted into law offices. Schlesinger officially retired from CBC in 1994, but continued to provide analytical stories in the years after. "For decades Joe Schlesinger bravely and honestly brought Canadians the stories of the world. And our stories. He ​has ​always ​been ​a rigorous journalist and gifted storyteller" observed Jennifer McGuire, General Manager and Editor in Chief, CBC News and Centres, at the CBC News Hall of Fame induction ceremony Thursday June 23. She went on to say "as a former Executive Producer of Joe, I have witnessed first hand his ability to see, synthesize and ground important moments like no other leaving us mere mortal journalists in awe." He is the second person to be inducted into the Hall of Fame. The first was Knowlton Nash, longtime CBC broadcaster and former anchor and chief correspondent for The National.